Golden Vintage. Porsche 907 Celebrates 50th Anniversary Win at Sebring. Porsche City. Nielsen To Speak at Detroit International Academy of Young Women. 1968 was a very good year for Porsche. The 907 conquered all comers at the 24 Hours of Daytona to open the racing season in early January. The official Porsche factory effort had swept the top-three spots there before traveling to Sebring, Florida where the cars took the top-two steps of the podium at Sebring International Raceway on March 23. Like the first 24-hours of the “Florida 36”, Porsche had another convincing win with drivers Hans Herrmann (Germany) and Jo Siffert (Switzerland) on the former airfield converted to North America’s legendary road course. They were one lap ahead of their teammates and six ahead of the third-place team run by Roger Penske. 1968 was also the beginning of a record-setting 14 “Florida 36” titles for the German marque. Others followed in 1971, ’73, ’77 and an unprecedented streak from 1978 through 1987. Porsche holds the record for most wins on the 3.74-mile, 17-turrn circuit with 18 overall and 70 class titles. Herrmann and Siffert were in the victorious car at both Florida events in 1968 though the remainder of the driver lineup was different for the “works” entries. The drivers were not the only differences between the two races as at Sebring the 907 chassis went back to a “short tail” variant versus the low drag aerodynamics of the “long tail” used at Daytona. At Sebring, the No. 49 of Herrmann and Siffert was ahead of fellow Daytona winners Vic Elford (Great Britain now living in Florida) and Jochen Neerpasch (Germany) in the No. 51. Rolf Stommelen (Germany) was the remaining driver who won Daytona but failed to finish the Sebring race when a mechanical issue eliminated the No. 48 he shared with Gerhard Mitter (Germany) on lap 46. A fourth 907, No. 50 with Ludovico Scarfiotti (Italy) and Joe Buzzetta (New York, New York) driving, was not classified having suffered a mechanical problem on lap seven. Herrmann, who turned 90 years-old on February 23, was known as “Hans im Glück” (Hans in Luck) at the wheel of Porsche race cars not only at Sebring but also the road rallies of the Mille Miglia, the Targa Florio and the Carrera Panamericana. His greatest success with the German marque came in 1970 racing a 917 to overall victory at Le Mans. He is famously connected to the iconic Porsche 550, which he raced with Helm Glöckler to a 1953 class victory at Le Mans in his rookie season at La Sarthe, only his second year as a racing driver. In 1969, one year after winning at Sebring, he joined again with Siffert, Elford, Mitter, Stommelen and Udo Schütz to take Porsche’s first season manufacturer’s title in sports car racing. He retired at the age of 42 and last attended the 12 Hours of Sebring in 2013 as a guest of Porsche Cars North America. Elford will be in attendance for the 66th Annual Mobil 1 Twelve Hours of Sebring on March 17 to celebrate the 50th anniversary of his teammate’s victory and his second-place finish in 1968. The popular Brit was also the guest of Porsche in January for the Rolex 24 where he celebrated his own 50th anniversary victory in that race. Porsche legend Hurley Haywood (St. Augustine, Florida) will also attend the 66th Mobil 1 of Sebring. Haywood holds the record for most 12 Hour starts, 28, and will be celebrating the 45th anniversary of his first of two victories in the race, the 1973 overall win in a Porsche Carrera RSR. He also won in 1981 driving a Porsche 935. The 1968-winning 907 will be on display at Sebring’s Gallery of Legends for the 12 Hours of Sebring weekend, March 15 – 17. The car is on temporary loan from the Collier Museum in Naples, Florida to celebrate its 50th anniversary victory. Detroit Porsche City. Nielsen To Speak at Detroit International Academy of Young Women. 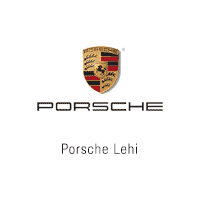 Porsche Select Driver Christina Nielsen (Denmark) will meet with students, teachers and staff from Detroit International Academy of Young Women in Michigan on February 28. The driver of the No. 58 Porsche Digital/Porsche Consulting 911 GT3 R entered by Wright Motorsports in the IMSA WeatherTech SportsCar Championship GT Daytona (GTD) class will talk with students, including their award-winning robotics team, about her experiences and challenges as a championship-winning race car driver. Nielsen is a two-time and defending GTD class champion making her return to Porsche in 2018 co-driving with North America’s only Porsche “works” driver Patrick Long (Manhattan Beach, California) in the No. 58. The WeatherTech Championship will headline the Grand Prix on Belle Isle on Saturday, June 2. The one-hour and 40-minute event will feature only the GTD and Prototype classes on its 2.35-mile street course.